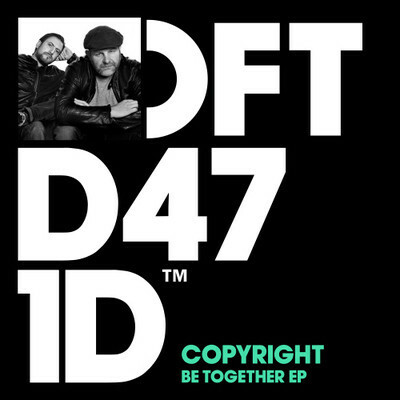 One of our favourite production house music duos, Copyright, release the two track ‘Be Together EP’ on Defected Records on 7 September, their first release on the label in 2015. Title track ‘Be Together’ features vocals from Andre Espeut and sit somewhere between canny sampling and exquisite, melodic production, highlighting that there are possibly few acts who do soulful, engaging house music better than Copyright. ‘Miss My Love’ completes the EP and is a more stripped back, club forward, record that has an unremitting stamina that should do well on the cooler dancefloors.